Stretch marks are small tears ad narrow lines that start in the middle layer of your skin (the dermis) and extend up into the top layer of your skin (the epidermis). Under normal circumstances. Your skin may stretch without tearing, thanks to the naturally occurring collagen and elastin fibers that add an elastic quality to your skin. But when your skin exceeds its ability to stretch or stretches very quickly, tearing and scarring occur. The result is white, sometimes discolored lines on your belly, thighs, and chest. Stretch marks usually form gradually over the span of a month or two months, so there is a little pain involved. When a tear first occurs, your body gets right to work healing the wound. But the skin on top of the stretch mark can stay tight and extremely dry long after the tear has been healed. It is this latter issue dryness that makes the problem even worse. Why Do Stretch Marks Become Dry? Dry skin is the result of a weakening or the complete breakdown of a layer of fat, oil, and water on the surface of your skin. When the hydrolipidic barrier stops working correctly, small holes can form. These holes allow vital moisture to evaporate quickly into the air. The lack of moisture in and next to your skin leads to dry, itchy patches. Dry skin is often caused by an internal imbalance of hormones that prevents the hydrolipidic barrier from functioning at 100%. To sum up, itchy stretch marks are actually two separate problems which are dry skin and small scars. The first part you want to address is the itchiness because it’s the most disruptive and uncomfortable. Indented streaks or lines in the skin. Pink, red, black, blue or purple marks. Bright streaks that fade to a lighter color. lines on the abdomen, breasts, hips, buttocks or thighs. Streaks covering large areas of the body. See your doctor if you are concerned about the appearance of your skin or if the stretch marks cover large areas of your body. Your doctor can help determine the cause of the stretch marks and discuss treatment options. Stretch marks seem to be caused by a stretching of the skin. Their severity is affected by several factors, including your genetic tendency, sudden weight gain, the degree of stress on the skin and cortisone level. Cortisone; a hormone produced by the adrenal glands; weakens elastic fibers in the skin. While there are many suitable candidates for stretch mark removal treatment, the most common patients are women who have recently given birth. Stretch marks and pregnancy usually go hand in hand like almost three in four women will experience stretch marks after pregnancy. These women usually suffer from belly stretch marks, but other areas may also be affected, resulting in the need for stretch marks treatment in Dehradun. Other candidates are people who have lost significant weight and bodybuilders who have quickly developed significant muscle mass. The best way to deal with stretch marks is to treat early and often. Do not wait until the stretching and itchiness have started. Begin adding the following practices into your daily skincare routine as soon as you know you are pregnant. During a laser stretch mark removal treatment, a beam of light removes thin layers of skin around the stretch marks. The excimer laser is uniquely effective for this procedure. Instead of burning or cutting the affected skin areas like other lasers, it uses high-energy ultraviolet laser light to disrupt the molecular bonds in the skin tissue, which causes the tissue to disintegrate in a process known as ablation. Once laser stretch mark removal is complete, the treated area will heal very quickly, and new layers of healthy skin will form. Stretch marks will have disappeared, and a renewed, healthy appearance will result. Immediately following laser stretch mark removal in Dehradun, the affected area will be red and tender. This is because layers of scarred skin have been removed and new skin is being grown. Blistering and other symptoms typical of a burn injury may be present, but these are temporary. Most patients heal from a treatment within a few days. But healing has been known to take as long as a few weeks in certain cases, particularly those requiring more extensive therapy. Having a personal or family history of stretch marks, heredity. Being pregnant, especially for younger women. 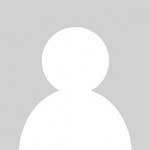 Rapidly gaining or losing weight. Having Cushing's syndrome, Marfan syndrome or certain other genetic disorders. Laser stretch mark removal in Dehradun is highly effective in most cases. 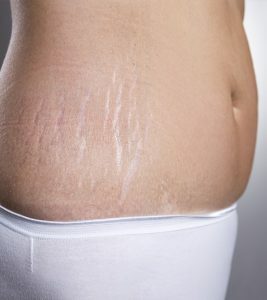 As with any other technique, success is dependent on the prevalence and age of the stretch marks in question older and more serious stretch marks are more difficult to treat. The most important benefit of laser stretch mark removal is its effectiveness and an effective result. The treatment has a very high rate of patient satisfaction. It is also extremely safe; the excimer laser is precisely controlled, with little potential to cause injury. Ultimately, it is less invasive than surgical body sculpting procedures such as tummy tucks, with less recovery time, lower cost, and fewer potential risks, and complication.